gives the Möbius function . 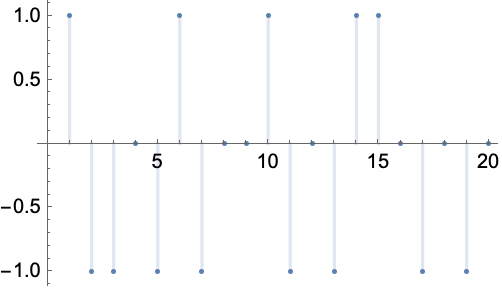 is if n is a product of an even number of distinct primes, if it is a product of an odd number of primes, and if it has a multiple prime factor. MoebiusMu automatically threads over lists.